According to the NY Times, a total of 60 cameras will be assigned to officers in five high-crime precincts over the five boroughs. The Times reports that "Officers will participate voluntarily, with a goal of having at least one officer wearing a camera on each shift at the selected precincts." Two thoughts. The first is that Bratton's decision to proceed was a smart political move. Studies have shown -- not at all surprisingly -- that the use body cameras by police results in decreases in violence and complaints about police conduct. Simply: cops who know they're on camera behave better. Bratton's initiative casts the NYPD and his leadership in a positive light. He appears willing to be transparent (the word of the day, I know, and one that is growing increasingly meaningless). It demonstrates that he is willing to live with video, meaning both that he has faith in his officers and will accept whatever the evidence shows. Moreover, by acting on his own now, while the court's order is still being fought over, he gives the impression that he is going to the video tape (thank you, Warner Wolf) because he thinks it's the right thing to do, and not because a judge made him do it. Yes, the plaintiffs in the litigation are annoyed. 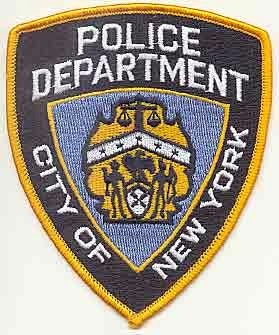 One of the lawyers for the plaintiffs wrote in an email, "This kind of unilateral decision on the part of the N.Y.P.D. is part of the same uncollaborative, nontransparent, go-it-alone approach to police reform we saw with the prior N.Y.P.D. and mayoral administration." True enough, but most people aren't going to complain, since the option right now is no cameras at all. So good politics by Bratton. Which takes me to my other thought, which is that this test isn't all it's cracked up to be. We are talking about 1 officer per borough per shift, and only on a volunteer basis. Who do you expect to see volunteering for these cameras? Obviously, it won't be anyone who expects that he or she might be doing anything at all improper. No, those cameras will be worn by the cleanest of the good cops on patrol; the ones who go about their job the right way, even without a camera pinned to their uniforms. They probably will never be worn by cops in the Narcotics Division, or the cowboys in Anti-Crime units. Add to that the officers' knowledge that they are on camera, and I would expect very little evidence of anything remotely improper. Which means that the empirical evidence from this limited test will be of very little value. In fact, probably the only useful info to be garnered will be technical in nature, i.e., issues relating to audio and video quality, etc. But I seriously doubt anyone could draw any useful conclusions from a test that is rigged to produce glowing results. Still, there are no good arguments against body cameras and tons of reasons to use them. So I choose to view Bratton's plan as nothing more than the first step towards the inevitable, even though we are still in the political posturing phase of the process.